Lisa over at A Bead A Day has put a shout out for help! How can you get swarovski flat back crystals to adhere to rubber?! Tammy shares her favorite summer necklace design. Did you know ABS has a designer of the week? Join us in a challenge and you could be featured on ABS! 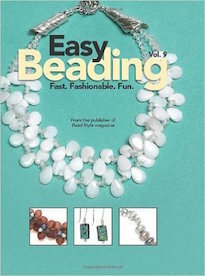 The Bead Journal Project is just whizzing by this year, and Cyndi is finally caught up! 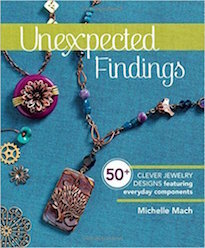 Does your mood influence your jewelry designs? Share your thoughts! Carmi's post features her favorite find from the CHA show in Chicago this month. Come see what's on Cindy's bookshelf this week. A special guest stops by the Earthenwood booth at Rust Belt Market: Cari Cucksey of HGTV's Cash & Cari. Resin Crafts show you what can be done with the mold of a grandfather clock. 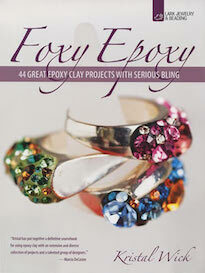 Are you ready to sign up for Lori Anderson's next fabulously fun and creative Bead Soup party? Jean has the scoop on what to do to sign up! Jean participated before and LOVED it. Once you have had "soup" with Lori, you just HAVE to have more! It's irrestible. See Jean's blog for the details! 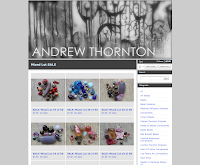 Andrew shares his plans for the future of his online Shop. When we left New York, one of the things I missed the most was the ease of getting international cuisine. Food from every culture was at your fingertips.... whether you were in the mood for a Mexican torta, Japanese sushi, or Polish pierogies... it was within a few blocks, a phone call away, or a subway stop or two down the line. Perhaps that is one of the reasons why I appreciate Moutain Palace all the more. Finding authentic Northern Chinese food even in the City would be a challenge – the fact that this rare gem could be located in Southwestern Pennsylvania not far from where we now live makes it even more special. Open only on the weekends, this eatery across from the Mirror Lake Camp Grounds offers up a menu with fixture specialties like dumplings, soup, and hot pots. The food is fresh, inexpensive and most importantly... good. 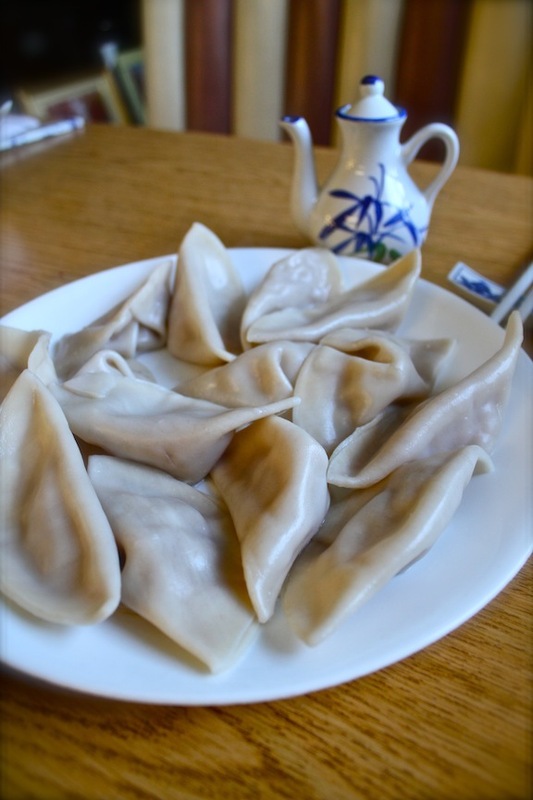 Since going there, I often times find myself craving the "Miracle Dumplings" stuffed with ground beef, ginger, and garlic slathered in their freshly prepared dipping sauce. I look forward to the weekend, just to go and get my dumpling fix! One of the fun things is that there is always a weekly special and it's always a treat to try something new. Last week we brought them some cucumbers and zucchini from our garden; this week they created a special inspired by our those ingredients! Above is a picture of the Wrap they made just for us! The cool, summer-time vegetables were mixed with ground beef cooked in a blend of Chinese spices, sliced potatoes, carrots, and onions in this delicious hand-held food. The Wrap was accompanied by a soup with meatballs, thinly sliced zucchini, ginger, carrots, and a satisfying broth. Both soup and wrap went for only $4.95! That's an absolutely AMAZING deal! We were honored by this mouthwatering combination. One of the things that really defines the place and makes it a destination that we keep coming back to is that it's run by good people. Clay, Lacy, and her mother Yuzhen are all hard-working individuals who were determined to bring a taste of Northern China to the area. They had a dream and struggled to make it happen. I admire that. Opening a restaurant is never easy, but they did it! Lacy works full-time in Pittsburgh during the week as a genetic research scientist and comes out here every weekend as a labor of love, preparing food that's not only tasty, but has health benefits as well! You won't find oily, greasy over-fried, MSG-saturated food here! Everything is fresh and made with love. The food and friendly people are not the only reasons to stop in; Mountain Palace also strives to facilitate a cultural immersion by offering fine porcelain, detailed silk embroideries, and opportunities for learning the language! It's really is a 360 experience and I highly recommend Mountain Palace! If you're interested in keeping up with them and their weekly specials, CLICK HERE to like their Facebook page. I've received several emails asking about how I'm doing and if everything is going okay. It seems another week was swallowed in the piles of paperwork and boxes of beads. I am moving along and getting things done as best as I can. I have been thinking about the future a lot and what it means to me. I've been thinking of what I can do and do realistically. 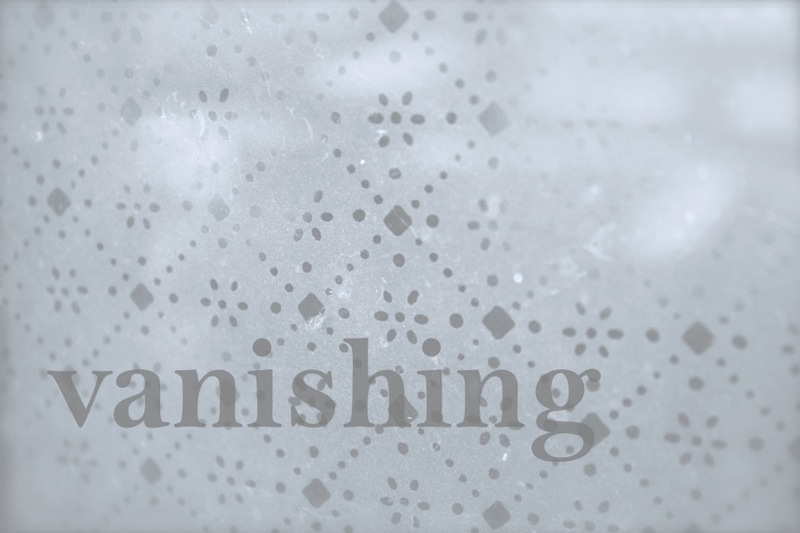 One piece of news is that my Shop, as it is, will drastically change in the near future. I have plans to phase out the components and focus primarily on my art and finished jewelry. Of course, it'll be at least a month before the official switch happens. Even then, it'll take me time to fill it back up with my personal work. Future Reader's Challenge Kits will still be offered through my Shop, as will any other blog-related opportunities like Capturing the Moment Workshops, the Charm Club, and Destash sales. This is not the end. Just a new beginning and a natural evolution. It's a strange thing that happens when you open your heart to the Universe, allowing things to happen in their own way and at their own speed. At times you trip over yourself, moving faster than you ever thought possible. At other times, things seem to drag slowly at a snail's pace. The carefully constructed bubble, that moderates the environment around you, is burst and you're subjected to the elements. It's scary. It's beautiful. And you're left feeling a disparate blur of speed and inactivity. The preparations for the Store are coming together. Somehow, I've managed to work on these things AND carry on as scheduled, entertaining company, working on deadlines, and just doing what needs to be done. I lay awake at night dreaming the Store into being. I lay awake at night pouring my heart into this place that I want so desperately to work out. In my heart and mind it's more than just a place to buy and sell things, but a place to inspire and to connect. It's a place to discover. I feel feverish with possibility. New things are coming that I hope everyone will enjoy. This week's word is "golden". Create a piece of jewelry, a work of art, or take a picture that, in your opinion, best captures the meaning of the word. Think about the word and its different interpretations and how it makes you feel. Translate it into whatever medium you'd like and then post about it on your blog. Once you've uploaded your blog post, copy and paste the URL into a new comment on this post. Be sure to check out what others are making, inspired by the weekly word. Don't delay; you have a week until the new word is posted. There is a new open back bezel tutorial on Resin Crafts Blog! Cyndi has a fabulous squared-cross turquoise pendant to give away! Have you ever used Swarovski hot-fix flatbacks to sparkle up a desk accessory? Stop by A Bead A Day to see Lisa’s progress on a new project. Michelle shares 3 tips for making more time for your art. Save time and your sanity this holiday season by making some easy metal ornaments now. Carmi makes a fabric brooch with Clover’s latest great tool! How do jewelry projects flow through your studio? Come to ABS and see how they flow through Cindy’s studio. Snap out of it, Jean! There’s beading to be to be done! Book Giveaway of the FABULOUS book, chains,chains,chains! You can see Jean’s review and sign up! Come to her blog and leave a comment for your chance at this remarkable new book! Studio Saturday lingers into Monday as Cindy finishes up her metal project. Make or collect beautiful handmade jewelry? Store it just a beautifully with these jewelry storage ideas. Andrew announces that he’ll be helping teach three workshops with his sister at ArtFest in the spring of 2012! Right here. Right now. That's where I'm meant to be. It feels right. For a long time, there's been this sense that there's a wind at my back, pushing me forward... towards something. It wasn't always easy. I feel as though it challenged me before it could deliver me into this place, that's more than just a setting, but a state of mind. I am doing exactly what I am supposed to. I am creating my life out here. It's a good, grounded feeling. Cynthia and Greg came up for the weekend with the kids. It was definitely good to see them. It was particularly nice to see Max doing so well after his medical difficulties. It was also nice to be able to show them around the area. It was the first time that they were all able to visit and see where we live. They came in around dinner-time on Friday. I made some pasta and we watched episodes of Doctor Who. In the morning, we got up early and headed out to Boalsburg for the People's Choice Festival. It was a bit of a hike, but I had already made plans to go out there before I knew they were coming. Above is a picture of Cynthia giving Max some water while he rides on Greg's shoulders. It was a scorcher and was REALLY HOT! One of the major reasons that we wanted to go was to visit with Gina Chalfant of White Swan Illuminations. She's got really lovely glazed ceramics. I love the references to art history and literature. 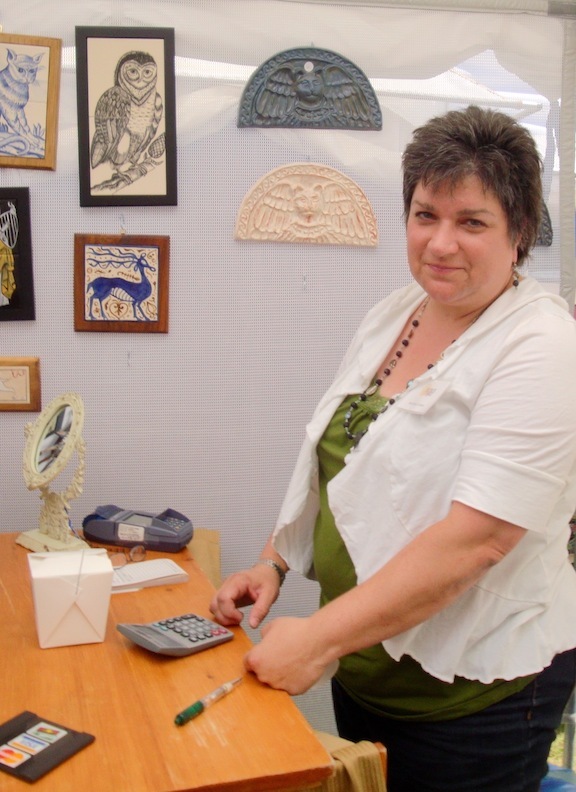 Her pieces have an air of antiquity, but are thoroughly modern and simply magical. She also makes jewelry and is how we first met her. Greg and I met her and her daughter years ago at a bead show in Pittsburgh. Another of the reasons that I wanted to go out to Boalsburg is that my friends Christina and David recently relocated to the area. I've been friends with Christina for over a decade now. We met while working at the Orlando Sentinel. I hope that they like it here! They moved to Bellefonte, which I discovered was really cute and very charming. Speaking of very cute and charming, above is a picture of Max asleep. He was wore out after a long day of activities. After our trip to the art festival, a flat tire, a call to AAA, and a short exploration of Bellefonte, we had dinner at Mountain Palace. It's a restaurant that recently opened up in the neighborhood that serves delicious Northern Chinese cuisine and also features Chinese art like porcelain and silk embroideries. The next day, we started the day off as every Sunday should start off... good coffee, music, and a yummy breakfast. After breakfast... well, we started cooking lunch. I made a chicken curry and we all helped in making the gazpacho. We let the gazpacho marinate while we showed them the future location of our store in Ligonier. We had just enough time to stop in, take some measurements, and check out the space some more. Greg picked up some books from the bookstore and we got ice cream at the cafe on the diamond. Our late lunch was delicious. The gazpacho was cool and refreshing and perfect on a hot summer day. Before it got dark, we went out to do photo shoots with Cynthia and Azalea's dolls. Above is a picture of Azalea setting up a shot with her Monster High dolls. It was a beautiful evening that was not too hot. Fireflies dotted the landscape. Bats swooped in great arching circles in the fading twilight. 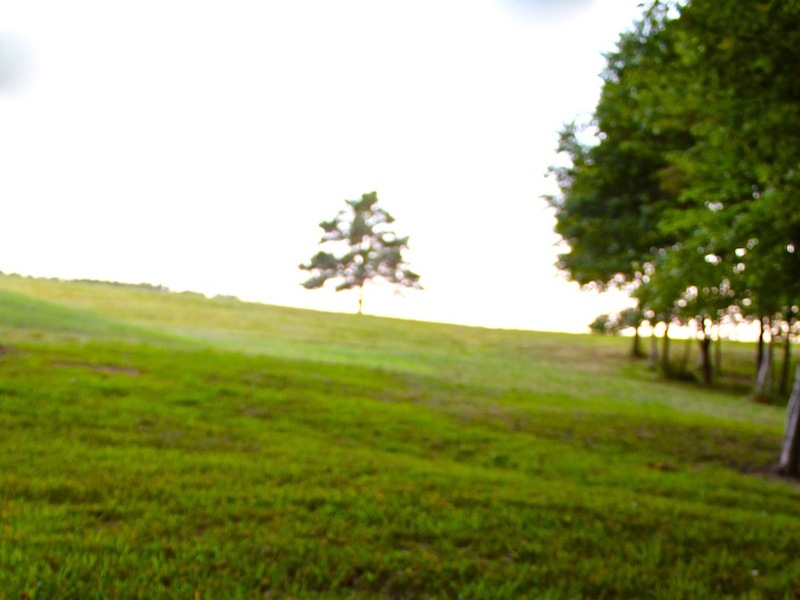 When Azalea wasn't taking pictures, she and Max were running up and down the hills and rolling in the grass with Suni. It was a lovely trip and I'm sorry to see them go. It definitely did my heart good to see some of my family. 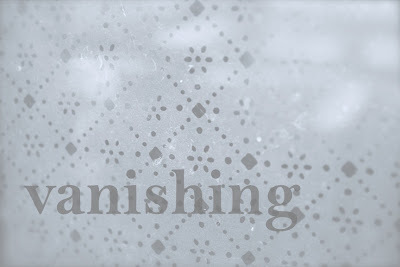 This week's word is "vanishing". Create a piece of jewelry, a work of art, or take a picture that, in your opinion, best captures the meaning of the word. Think about the word and its different interpretations and how it makes you feel. Translate it into whatever medium you'd like and then post about it on your blog. Once you've uploaded your blog post, copy and paste the URL into a new comment on this post. Be sure to check out what others are making, inspired by the weekly word. Don't delay; you have a week until the new word is posted. Over at A Bead A Day, Lisa is looking for input on how much bling to add to a desk accessory with her new hot-fixing jewel tool! Don't blow off Christmas in July. Instead, use this time to make some awesome beaded ornaments. Come take a look at ABS Editor Cindy Gimbrone is up to in her studio this week! Cyndi shares the instructions for making a freeform peyote stitch necklace. Now the piece just needs a name! Carmi has found a few new ways to use Apoxie Sculpt! Cindy reviews Hot Connections by Jennifer Chin. Resin Crafts Blog received a very pretty samples kit...and turned it into a unique wearable. Jean is excited to show what she received (not her finished design however!) from Michelle Mach for the "Mostly Metal" challenge which Michelle is hosting! Use a finding in a different way. Try Charlene's chandelier earrings made from bead caps. A tutorial with photos shows you how. Andrew reveals the mystery component for the July Reader's Challenge! Remember that rather cryptic hint that I dropped earlier this summer about a project that Cynthia was working on? No it wasn't another book or a baby. It was, as a few very clever readers deduced, Artfest 2012! Cynthia will be teaching three great workshops and I'll be assisting her. I'm really excited! Cynthia rarely teaches, so this will be a most excellent opportunity to soak up some of her creativity and explore three fantastical and simply magical classes. New information and class descriptions will post on August 1st! Sign-ups will begin on September 3rd for the event running from March 28th to April 1st! You should definitely sign up as soon as possible, because these events have a way of selling out fast! Another perk of attending these great workshops in the picturesque Northwest is that there's a special vendor night. 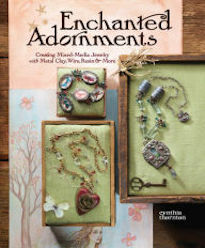 Cynthia and I will both be bringing an assortment of our treasures along with the full set-up from Green Girl Studios! So it'll definitely be worth it to see what we've been making just for this event! I would like to liberate the remaining Mixed Lots. There's a handful of them remaining. I've marked them all down 25%! Now only $7.50 each!!! There are some really great finds mixed in. Please help me free the rest of the lots into the world. I work best at night. When darkness envelopes the landscape and blankets everything thickly in shadows and silence, the gears in my brain start churning. I've always been like this. Even as a child, I would lie awake, fidgeting. Sometimes I'd drape the bottom bunk bed with several quilts and read or draw by flashlight. Last night, well after midnight, I took a break. I turned off the porch light and stepped out on the deck. Sometimes I do this to clear my head or to look at the stars. It was different though. Usually the darkness has a velvety quality. Electric lights are at a minimum here in the country and the shadows silkily overlay the sky, punctured only by pinprick stars and the swoops of bats and bugs. Last night, everything was animated by a silvery light. The moon mimicked the sun of an early winter day. I took a picture and it was so bright that it caused a lens flare! The shadows were sharper, the lines harsher. The woods took on a different feel. The leaves of the woodland trees, lit by moonshine, looked like millions of fluttering moths clinging to a branch. Each of the July Reader's Challenge Design Kits included a mystery component. Not even the participants knew what they were getting as the surprise ingredient until it arrived at their door. Above is the reveal of the mystery component for July! It's a handcrafted copper coin pendant featuring a leaf. I carved the design to go along with the ceramic leaf pendant from Melanie Brooks of Earthenwood Studio. Each coin has been accented with Gilder's Paste and lightly coated in Renaissance Wax. Interested in getting your hands on one of these pendants? SORRY! You'll just have to wait a little longer. These pendants will not be available to the public (outside of the participants of the Reader's Challenge) until after the August 1st Reveal Date! They will exclusively be available in my Shop! So stay tuned to see what everyone has made! I stood on the deck, taking in the last light of day. I absorbed the moment of painterly skies and the feelings coursing through me. The past few days have been awash with mixed emotions. The undertone of everything.... simple exhaustion. It unifies and bridges the disparate thoughts and impressions. So much has been happening. The store is slowly taking form. Every sentence, every word, every piece of paper, every email is an imaginary timber reinforcing this dream. We're still waiting to get back some of the final paperwork, but the biggest leap... the decision to do it... has been taken. It is scary. It is exciting. It is thrilling. It is daunting. It has been unfurling in my brain and I lay awake at night, not being able to take advantage of those few moments delegated for rest. The switch has clicked in my brain though and it's only a matter of time before it's real. This week hasn't just been about the NEW. I've been thinking a lot about my friend Amelia, who passed away three years ago. Maybe it's because of all the new that the anniversary of her being gone has struck me so hard. I think about how unfair it is that her life was snuffed out so early. I think about all the things she wanted to do – all of the things that she dreamed of – and didn't get to do. I've also been finishing up the last of the shipping for Virtual Yard Sale. I've been pouring my gratitude and positive energies into each and every package. It hasn't been easy. 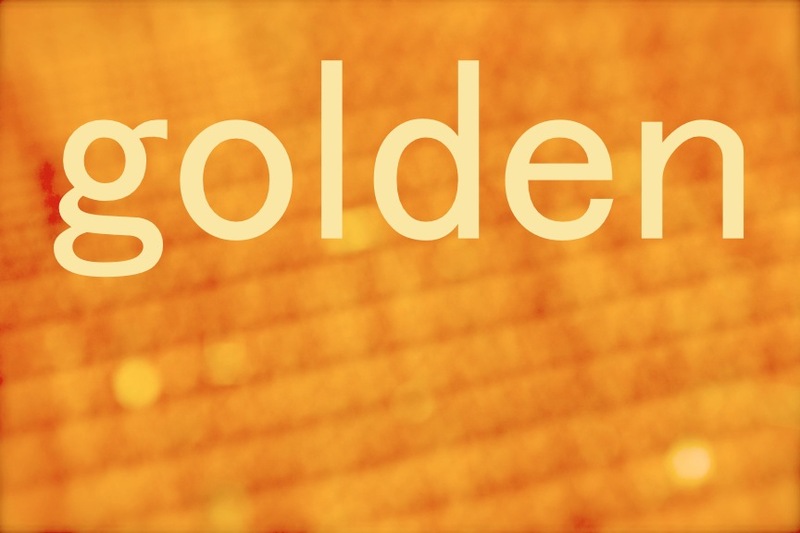 At times it seemed like an endless stack of hay needing to be spun into gold. I am happy to say that I am done and have almost completely paid off my medical bills. From an impossible number, to a manageable few hundred... it is simply amazing! I'm done with the shipping and everything should be where it is meant to go or on its way, carrying with it all my good intentions. With everything going on, you wouldn't think that there was much time for anything else. But I have been working steady on deadlines for future publications. I feel really honored to be able to do this. It's a lot of work, especially with everything else going on, but it's good work and the projects I'm making and the things I'm writing about are creatively invigorating! 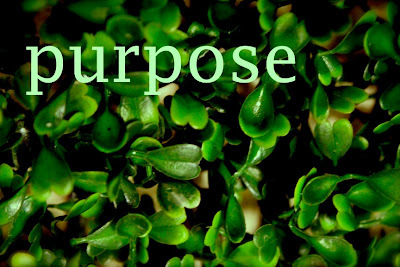 So, I feel filled with purpose... I carry with me my friends, my family, my community... those who are still with me and those who have departed. I move through obstacles, embracing destiny and opening myself to unexpected opportunity. It's a good feeling. And when I think about how tired I am, I know that it is because I have been doing things with purpose. Another thing I should mention, is that if you have won something on eBay and are still waiting for it... you might want to check to see the status of your payment. I still haven't gotten paid for 20 auctions. I have sent out Invoice reminders, but worry that they're going to Spam folders. I understand that we're all busy people, the economy is bad and there are a lot of extenuating circumstances. So, if you're one of the ones with an outstanding balance, feel free to email me personally and we'll work something out. So, if you're still waiting for your purchase, I thank you again for your patience, but fear not! Things are still going out and should arrive shortly! Anything with a custom order or requested modification will of course take more time, but I should be completely finished with all shipping tomorrow at the earliest! Thanks again for all your help and support! I really feel blessed to be apart of such a creative and kind community and hope that everyone had fun with all the giveaways and events! Rebecca and Mo were in the area doing a shoot in Altoona for "The Best Thing I Ever Ate" that comes on the Food Network. They had a day off in Johnstown and we were able to hang out with them and show them around town a bit. At the top of the Incline Plane (which is the steepest vehicular one in the United States, might I add), there is one of the largest flags in the country. It was rather limp and flaccid when we walked up to see it, but gave a very patriotic wave as we boarded to go back down. We took them a little bit out of town to see the Conemaugh Valley outlook off of Route 56. It was decked out in flags for the recent Fourth of July holiday. It has pretty breathtaking views of the natural beauty. It was a short trip, but it was nice to see them and chat. I hope that they make their way back out here again or that I run into them on their many travels, searching out and recording some of the most fabulous food on the planet. 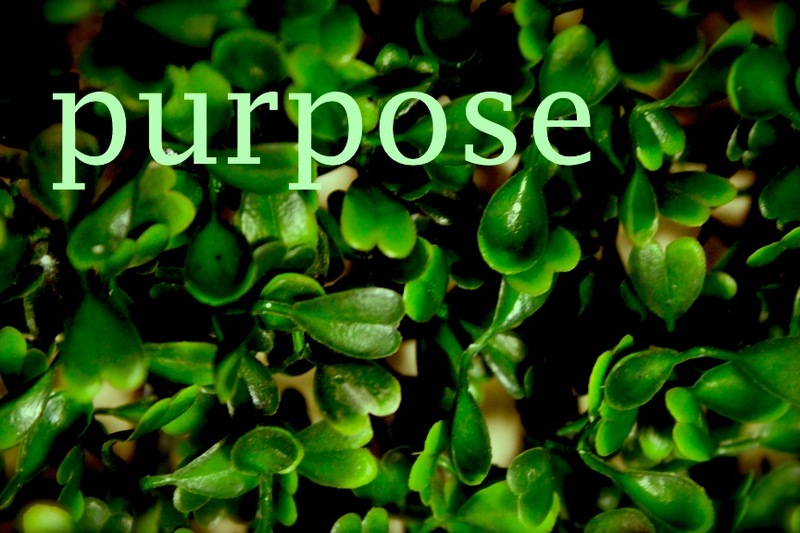 This week's word is "purpose". Create a piece of jewelry, a work of art, or take a picture that, in your opinion, best captures the meaning of the word. Think about the word and its different interpretations and how it makes you feel. Translate it into whatever medium you'd like and then post about it on your blog. Once you've uploaded your blog post, copy and paste the URL into a new comment on this post. Be sure to check out what others are making, inspired by the weekly word. Don't delay; you have a week until the new word is posted. 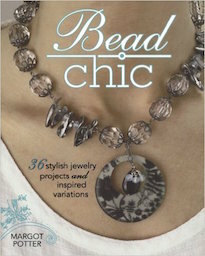 Tammy has a new book review posted that will appeal to those who love little beads. Take the June monthly challenge blog tour. Cyndi has a fabulous copy of 30-Minute Rings to give away, Come and enter to win! Michelle is hosting a Mostly Metal Design Challenge with 3 different kits of materials: Filigree Fun, Gunmetal Love, and Antique Brass Romantic. Come join the fun! Carmi creates a peace bird brooch with artbeads.com components. Come take a peek at what Cindy's got on her bookshelf! Melanie shares some new designs made with her new Fable Pebbles made by members of the Earthenwood Design Team. Carmi shows you how to make a piece of crochet look like filigree! 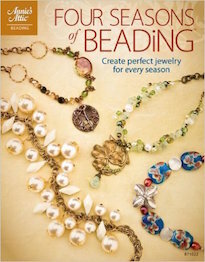 Second chance to sign up for Beaducation DVD giveaway, time lengthened due to last week's holiday! 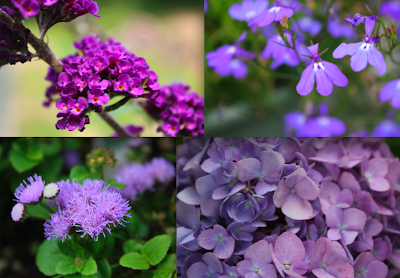 Come on over and see what's up on Jean's blog! Join Charlene in a jewelry challenge to celebrate summer and long days. Click to find out how to participate. 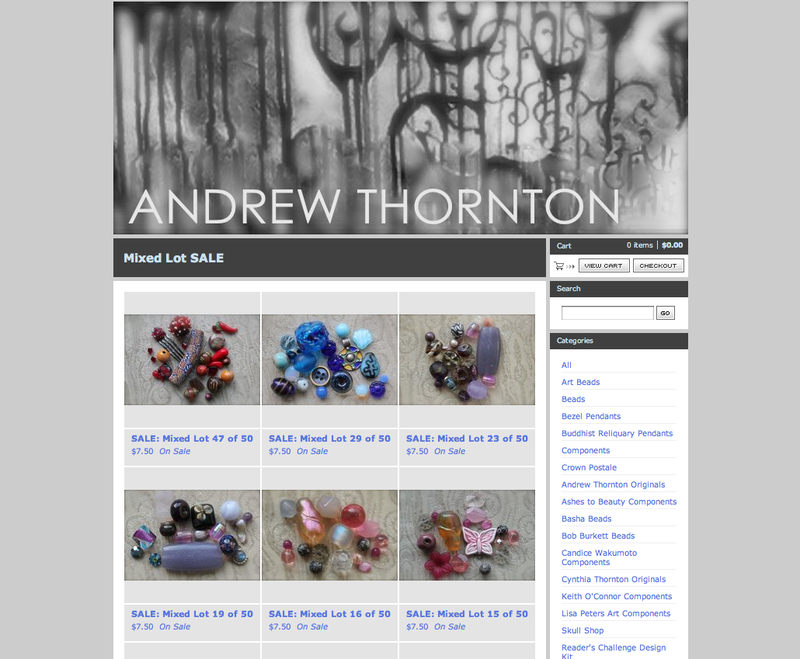 Andrew introduces some NEW vintage beads to his online Shop! We ran into the owner of Second Chapter Books. The store is located in Ligonier and is super cute. I actually was talking with her earlier in the year about possibly showing some of my work in her shop. She let me know that the Gelato cafe in the front of the shop had gone out of business and she was looking for a roommate to share the space. When we moved here, I had dreamed about opening a shop in this picturesque little town right down the road. It has such a good energy. Possibility is in the air. And that's when it really started to gel that having a shop in an ideal location wouldn't be out of the question. Having my own shop could happen. The expenses were low and I could get started as soon as September. Here's what the front of the store looks like. I'd be in the front and be able to fill the window with all kinds of displays. To the left is a shot of the street with the Diamond with the bandstand in the background. In the middle is a shot of the space as it is. All of the counters and freezers would be removed. And to the right is a really cool little courtyard that we'd be able to use. Ideally I'd like to open a creative space, selling beads and art. Sharing the space with the book store would be ideal, because it'd cover all my passions. Writing, art, jewelry... all in one space. It truly would be a great opportunity. There's enough space to have workshops and do classes, feature my favorite components and artisan jewelry.... and it would be real. Something solid to go to. I had wanted to get most of the work out of the house and into a studio space, but why not open that studio space to others as well? We're still trying to figure out if we can crunch the numbers to make this dream a reality. I would have to do a fundraiser to get things off the ground, but I think it's definitely doable. I could create a space that's an extension of my blog and focuses on creating a positive space featuring works by people that I love and admire and are hard to find. Suddenly, my "imaginary" deadlines became real ones. I've been working frantically to finish everything – getting all my articles written, packages packed and shipped, and all the auctions squared away. It has been intense to say the least. From having an inbox with 16 emails in it to one with over 200 (that are flagged important), can test the mettle of almost anyone. Hopefully after this weekend I'll be completely caught up. At least that's the plan! I wanted to take the opportunity to thank everyone who has participated in the recent sales, challenges, and giveaways! THANK YOU! So many of you have shown your support and for that I am eternally grateful. I've almost reached my goal to pay off the last of my medical bills. It's a dizzying experience. From something that seemed so insurmountable, to something that has been defeated... it's truly and utterly amazing. So, I thank you. I thank you for believing in me, my work, and for giving me a taste of freedom. Thank you! I could not have done this without you! 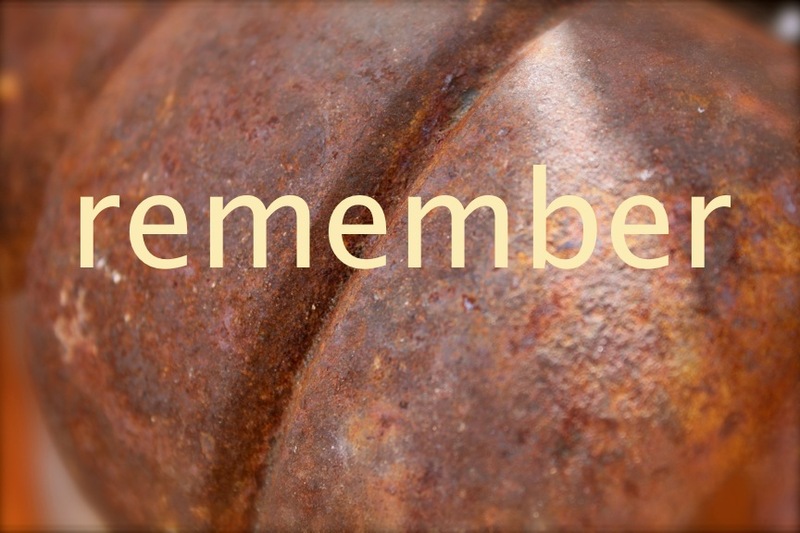 This week's word is "remember". Create a piece of jewelry, a work of art, or take a picture that, in your opinion, best captures the meaning of the word. Think about the word and its different interpretations and how it makes you feel. Translate it into whatever medium you'd like and then post about it on your blog. Once you've uploaded your blog post, copy and paste the URL into a new comment on this post. Be sure to check out what others are making, inspired by the weekly word. Don't delay; you have a week until the new word is posted. Lisa takes a walk down memory lane, re-visiting some old jewelry stand-by's while preparing to design a new favorite piece. Get some red, white, and blue jewelry inspiration and ideas from these free jewelry tutorials. 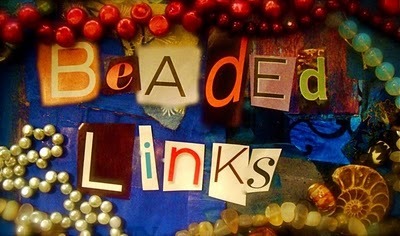 Here are some random bead related links for you to enjoy! 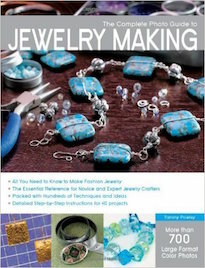 Are you clear on your goals for your bead and jewelry blog? Cyndi has rounded up some articles that are sure to help! Carmi works on a little bit of an antler for a surprising result! The Earthenwood Design team is serving up lots of sweet jewelry treats! This week there is a special piece featuring a mold and a resin pour! Jean reviews a GREAT Beaducation DVD on soldered rings and bezels and also announces a giveaway from Beaducation of a DVD of the winner's choice just for liking Beaducation's blog! What's not to like? Charlene features a young jewelry artisan and snags a pretty sweet pair of earrings in the process. Exciting news! Andrew launches his FIRST ever Reader's Challenge! The Design Kit for July features summery shades of green and lots of art beads! The Ebay Sales Continue! 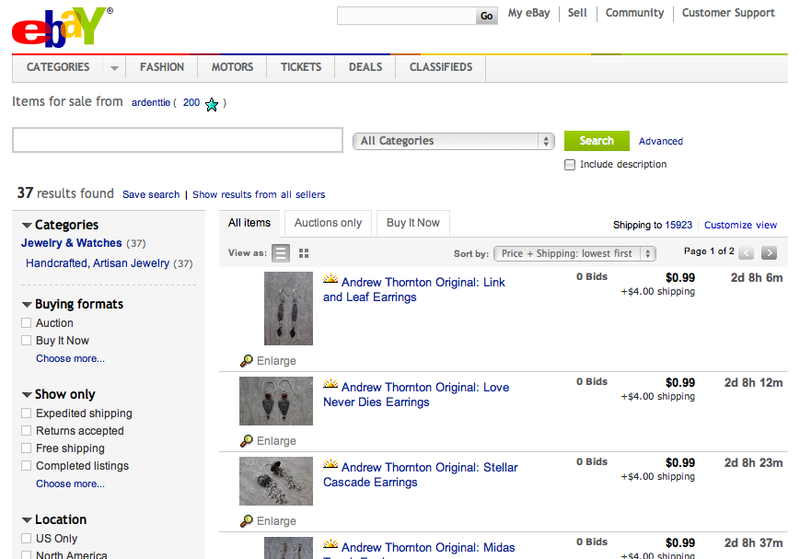 I just finished uploading the last batch of my original jewelry designs to Ebay. 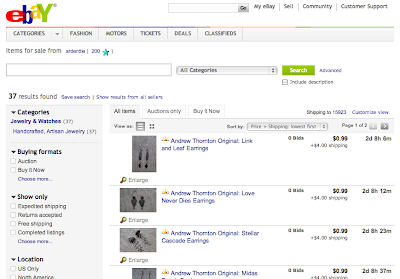 There are 37 items up for auction and all of them start at just $0.99! CLICK HERE to check them out! 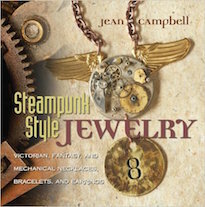 You could easily end up with lots of my finished jewelry, loaded with artist-made components for a song! The July Reader's Challenge Design Kits are SOLD OUT! Missed out? Fear not! The August challenge is just around the corner. Keep your eyes peeled for July 15th, when the mystery component is revealed. And mark your calendars for the Reveal Date on August 1st! I can't wait to see what everyone makes! I am SO excited!